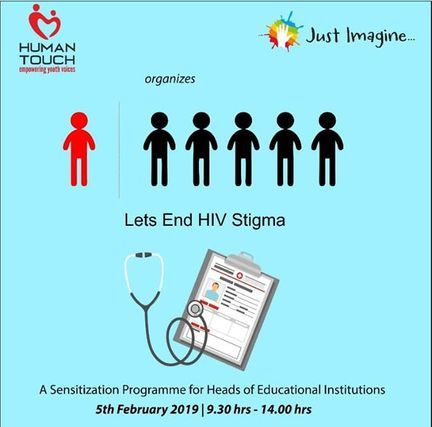 Human Touch Foundation and Just Imagine are collaborating with the Department of Education and the Goa State AIDS Control Society in holding a half-day sensitisation workshop titled Let’s End HIV Stigma, an attempt at improving the mind-set and the approach of educational institutions when dealing with children and adolescents living with HIV. The workshop for teachers and heads of educational institutions will be held at Baywatch Resort, Sernabatim, Colva on the 5th February 2019 from 9.30am to 2pm. It has been found that there are incidents every year in educational institutions where children living with HIV are shunned or avoided. The belief prevails that these children should not be allowed to continue to attend school. ‘These attitudes are most strongly associated with having inaccurate beliefs about HIV, especially that HIV can be caught by casual contact, and lack of specific HIV education. During the workshop, emphasis will be placed on introspection in relation to self-awareness, attitudes, values, and beliefs as these are factors affecting stigma and discrimination,’ says Peter F Borges, Founder and Chief Executive Officer, Human Touch Foundation. Revealing your HIV status as a student can have deleterious results. 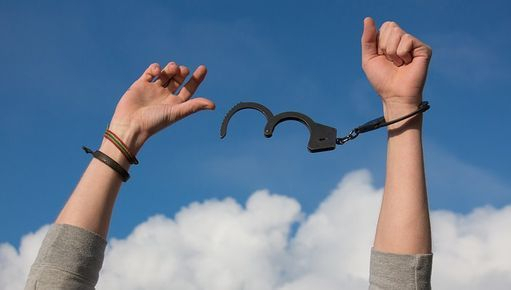 ‘When you disclose openly to a teacher that you are HIV-positive and that you are taking antiretroviral therapy (ART) drugs, they spread rumours through the whole school and you end up being isolated. I am facing a difficult life at school,’ explains Mary (name changed), who is studying in high school. The stigma of being HIV positive is still an issue for many children and adolescents living with the virus in Goa. Hence, interventions should aim to correct misconceptions that HIV can be transmitted via casual contact with children living with HIV. ‘This workshop is the beginning of the journey towards zero HIV discrimination in Goa by the Human Touch Foundation,’ explains Basavaraj Katti, Social Protection Officer, Human Touch Foundation.